I mean is it too much to ask? Really? After what seemed like a too good to be true period of peace and success, the all too common injury bug has finally attacked the Penguins. We were all waiting for the other shoe to drop and here it is. Boom. Just in time for the holiday season. 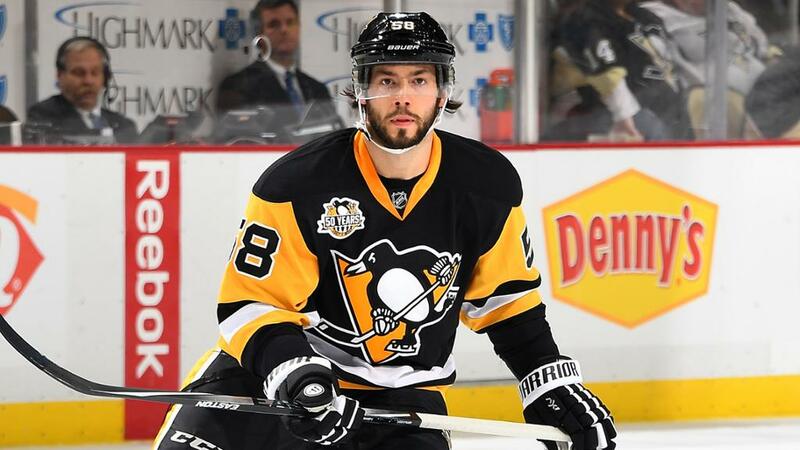 Kris Letang, Trevor Daley, and now Tom Kuhnackl are all out for "a few weeks." 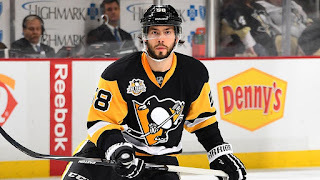 Two very important parts of the blue line and a very good depth player, all out for the Penguins as they were all over the league showing them why they won the Cup. The old joke was that Consol (ne, PPG Paints Arena) was constructed on old Indian burial ground. Since the Penguins entered their new digs the parade of important players injured seems endless. Combined with a string of playoff losses there seemed to be an unshakable hex over the Pens. Finally the Pens lifted the Cup again, something that felt a long time coming and well earned, and the hope remained that the curse was lifted. Even though Sidney Crosby missed the start of the season with a concussion, he's bounced back spectacularly. A blip in the radar! It's fine! And these past weeks it crashed back to earth. Letang, Daley, and Kuhnhackl all made their way to the box to watch as they heal. While Kuhnhackl is easier to replace, they all represent important cogs in a successful engine that was driving the Pens. They'll have capable replacements in the likes of Eric Fehr, David Warsofsky, and Derrick Pouliot they're not the players having to watch from afar. With the holiday season in full swing, my biggest wish for the Penguins is this: Health for the rest of the season. They can tread water without Letang and Daley. An injury for a length of time to Crosby or Malkin? Well... let's not think about that.